← Ask A Bulletsmith – Is your personal preference hand priming, single-stage reloading priming, or progressive reloading press priming? 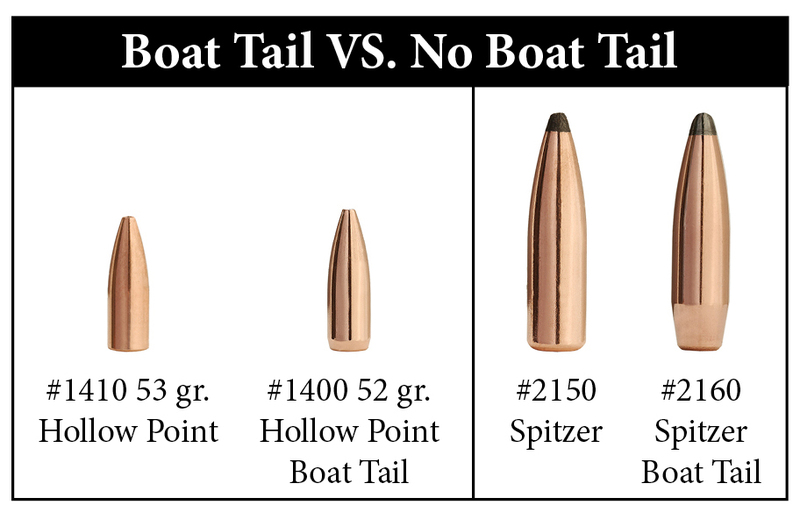 Can Boat Tail Bullets Shoot Good at Close Range? While it is true that long for caliber bullets and the necessary fast twists don’t always shoot as well at close range as the flat based bullets they are clearly superior at long range. That being said, many long range rifles are very competitive at closer ranges. My 300 Mag IBS heavy gun shoots 5 shot groups at 250 yards under .250” consistently and at 100 yards just one small 30 caliber hole. My 6mm Dasher is almost that good and my guns are not exceptions. But one of my guns isn’t all that good at 100 or even 200 but is really pretty good at 600 and 1000. I guess 2 out of three isn’t all that bad. I think there are several factors at work here so I don’t think you can make a blanket statement like “long boat tail bullets won’t group well at 100 yards” hold up. I have seen this phenomenon several times when the long bullets just don’t seem to settle down at close range but I think that is due more to the long barrels and the associated vibrations plus an unbalanced and basically untuned load coupled with maybe a mechanical issue or two. While it is generally true that a flat based bullet may be easier to find a load for the design of the modern boat tail bullet is potentially more accurate. Boat tail verses flat base accuracy potential: when the flat base clears the crown it is free and all that is exposed to the following muzzle blast is the flat base of the bullet. If the crown is slightly off there is little to no effect on the stability of the bullet. However, when a boat tail bullet emerges it is not clear of the muzzle. As a matter of fact the entire length of the boat tail is still in the muzzle although no longer supported by the bore it is exposed to the following muzzle blast. If the crown is not perfect this increased area adds to the area exposed to the offset muzzle blast effecting basic instability and throwing the bullet off track due to induced yaw. As the bullet travels down range the spin imparted by the rifling twist rights the bullet, putting it back on axis and it flies straight and true once again. Often times a bullet will have to fly 200 yards or so to become stable under these circumstances. And that is what I think you have seen because the most unstable times of a bullets flight is when it emerges from the crown and then again when it goes trans-sonic far down range. This entry was posted in Competitive Shooting and tagged boat tail bullets, bullet design, flat base bullets. Bookmark the permalink. 3 Responses to Can Boat Tail Bullets Shoot Good at Close Range? Never looked at it from the muzzle exiting and the uneven crown throwing off the boattail before. Interresting! Thanks for the lesson. That makes the flat base sound like a better hunting bullet. You never really know if you are going to shoot 50 yards or 400. I have a 264 win. Mag and if what you say is true I should shoot flats. Moved from where they were standing. The bullets impacted at the point of aim. The Sierra bullets printed 1/2″ to 5/8″ 3 shot groups. For my money it is 120 GR. Sierra HP BT Bullets in my Remington 700 25-06 rifles.